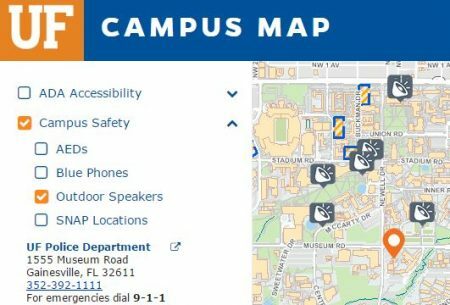 UF Alert outdoor speakers can be viewed utilizing the UF Campus Map’s Campus Safety option. 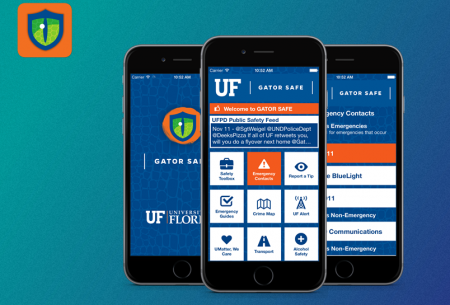 The UF GatorSafe app is available in the Google Play or App Store. Search “GatorSafe” and download it today! UF Alert enhancements have been added to my.ufl.edu. 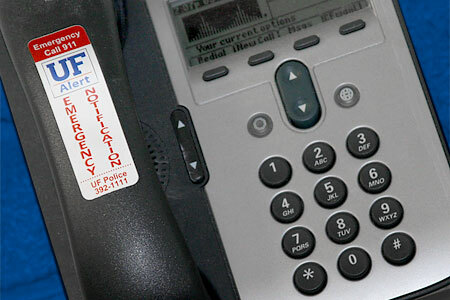 They include the ability to select alert locations and a display of the phone number associated to UF Alert text messages. Follow UF Alert on Facebook and Twitter. 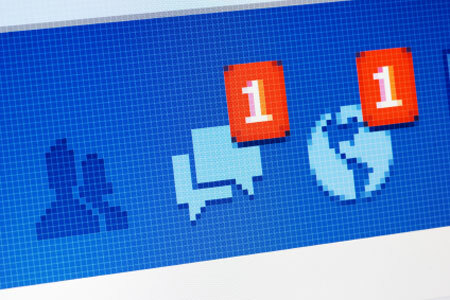 View UF Alert notifications directly in your social media feed as they occur. Emergency notifications from a phone or speaker near you. UF Alert messages are broadcast to IP telephones and speakers on campus. Hospital emergency activation has ended. Resume normal operations. Please check with department supervisor for further direction. Command center is open. Several operations in Spring Hill, Mag Park & Haile Plantation have all been effected by severe weather. Please check with department supervisor for further direction. Severe weather in North Central Florida. More Details to follow.